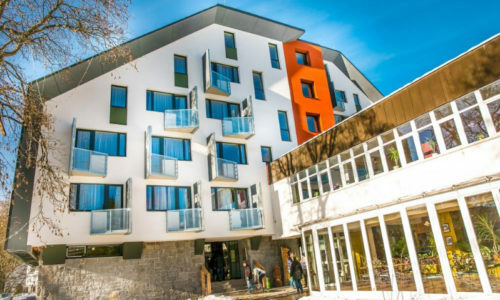 Sporthotel Švýcarská bouda *** is located in the part of the city called Labská, approximately 2 km from the city center. The hotel is perfectly located for your sports activities throughout the year. At a distance of 150 m there is a fourseats lift and routes for crosscountry skiing, which take you to the ridge of the mountains. In the summer right around the corner there are tourist routes available. 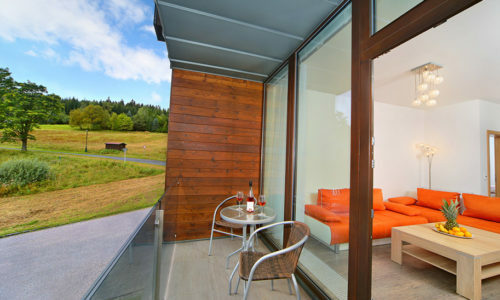 Apartments Hromovka offer modern accommodation right next to the Hromovka cable lift. 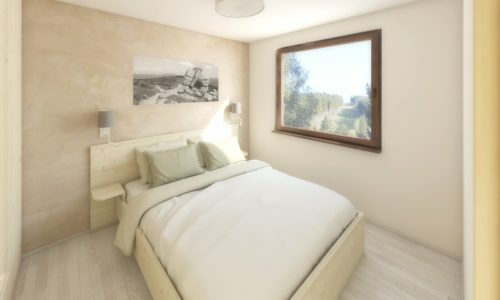 All apartments have a unique view directly on the ski slope and to the countryside. Pension 110 is a family friendly pension, which lies in the district Bedřichov. A distance from the center is about 10 minutes walk. 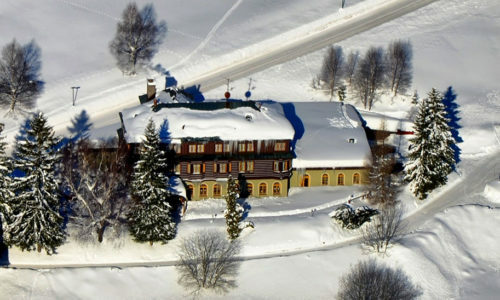 The Orea Resort Horal is situated at the foot of Kozí hřbety (Goat Heights) in the part of Špindlerův Mlýn called Sv. Petr , 900 m above the sea level and about 1,5 km far from the town centre. 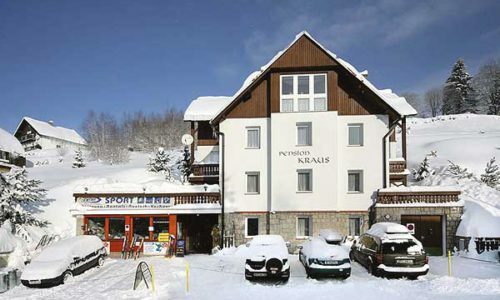 Hotel Horal belongs to the sports hotel and can also satisfy the most exacting guests. 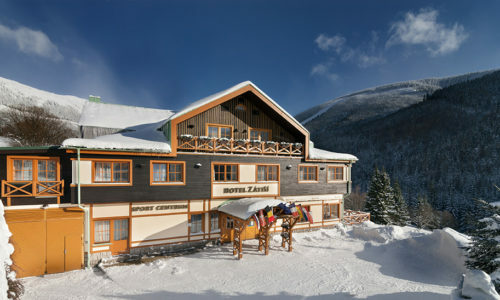 Hotel Zátiší offers its guests great service. The hotel is characterized by its delicate taste and feel for a cozy environment and relaxation, decent service and great cuisine. 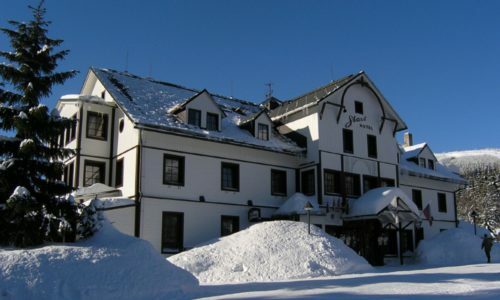 The hotel is located in a very quiet environment - in the valley of St. Peter, which is part of Špindlerův Mlýn. Apartment Zvon complex is located in St. Petr. 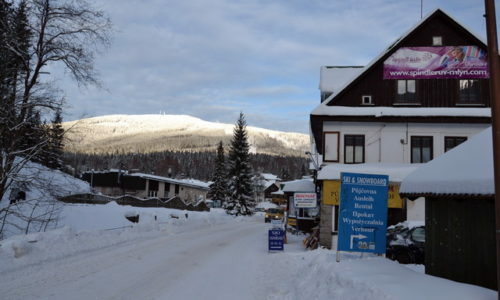 It is quiet historically given part of Spindleruv Mlyn with perfect access from the center. The location is interwoven with a number of hiking trails ranging from valleys to mountain peaks. 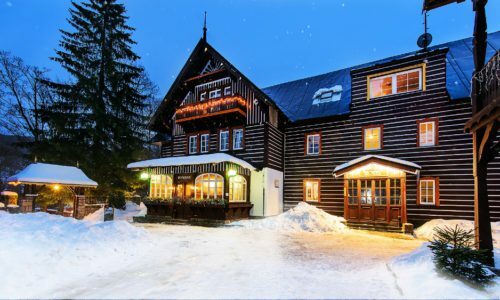 Start*** Hotel offers comfortable accommodation in Spindleruv Mlyn, you find the hotel only 200 m from the centre of Spindleruv Mlyn. The chairlift "Hromovka" is just 300 m far from the hotel and you can ski down from the hotel Start to the down station of chairlift Hromovka. 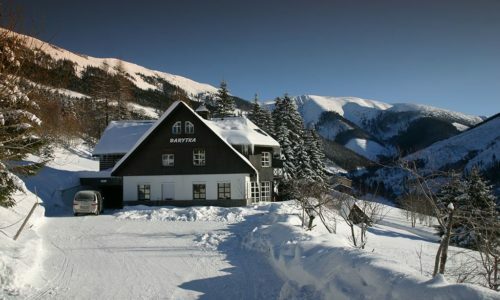 Family-run guesthouse Barytka is located in a picturesque corner of the Valley of St. Peter. It offers a romantic holiday for all, who are looking for more privacy and a quiet environment. 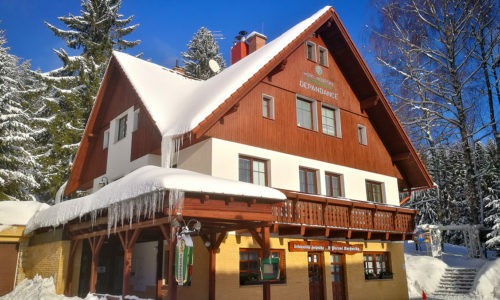 The great advantage of the guesthouse Barytka is its default location in the vicinity of tourist routes leading towards the Sněžka and the peaks of the giant mountains. 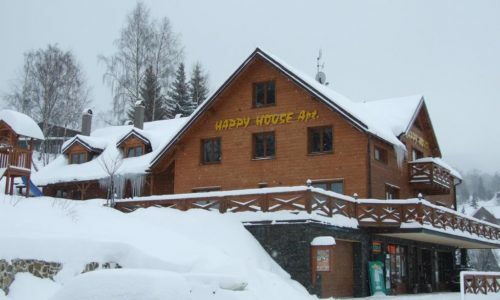 In winter, guests will appreciate the ski bus stop located 200 m from the guesthouse. 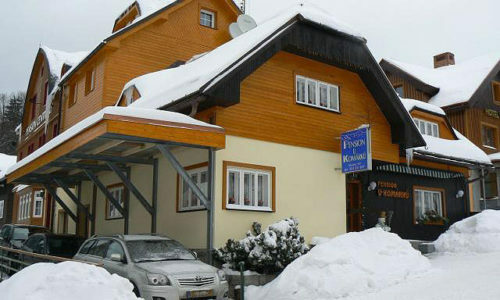 Hotel Venuše*** is located in a calm place near the city center. You can enjoy spectacular views of the highest peaks of the Giant Mountains. Thanks to it´s position close to the trails, it became a great place to stay for hikers, especially in the summer season. The pension Kraus stand in the part of the town called Bedřichov with a beautyfull sight on the panorama of Giant Mountains. It is a family pension. This pension find itself cca 10 min. far by walk from the center of the town. The pension find itself in Špindlerůn Mlýn, in the part of town called Bedřichov. It is situated in a very calm (blind) street. From the center of the town is the pension only 8 - 10 min. far by walk. In the garden of the hotel Bedřiška is situated the depandancy, which is about 50 m far from the main building and which is connected with the hotel with a illuminated pavement. 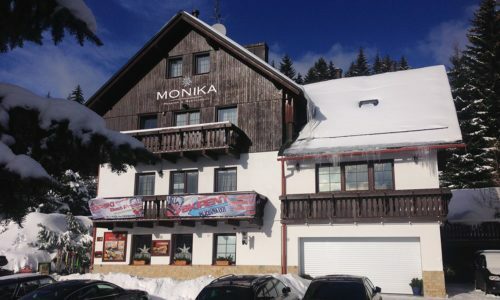 „Hotel Tři růže*** is just few meters from the city center with nice view to ski resort Hromovka. 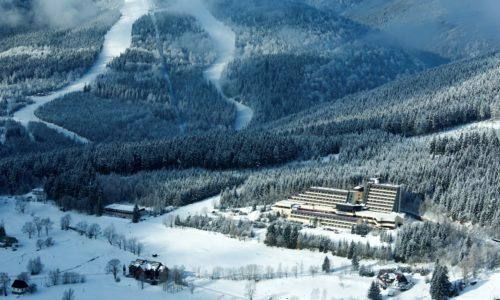 Ski resort Hromovka is just 200 meters from the hotel and you can go skiing. 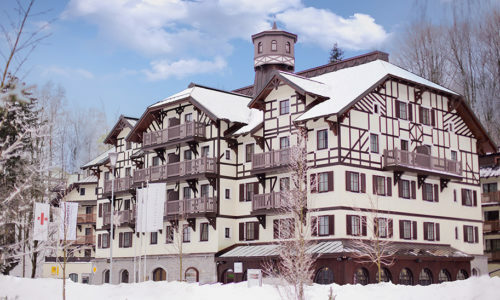 Hotel Savoy has got 38 rooms and suites that offer our guests an unforgettable experience in a luxurious mountain resort. Our hotel rooms are unique in space and equipment. All rooms have been designed in accordance with modern trends and attention to detail. 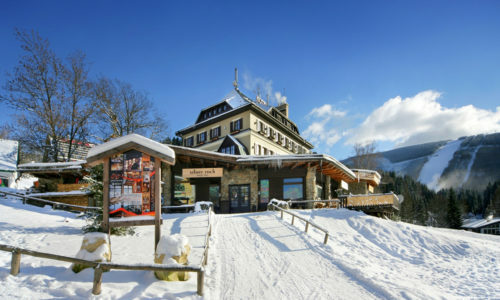 Hotel Lenka is one of the most popular 3 * hotels in Špindlerův Mlýn. 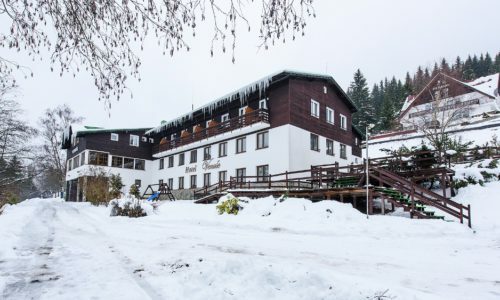 Guests will appreciate the location of the hotel, just 10 minutes walk from the center of Špindlerův Mlýn and only 300m from the six chairlift in Sv. Peter. 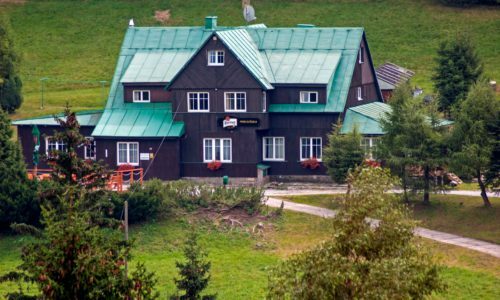 You can find us directly in Špindlerův Mlýn, in its part called St. Peter valley (údolí Svatého Petra) with a breathtaking view of the peaks of Kozí hřbety, ski runs and spruce tree hillsides, often referred to as “Green Zone” or “Green meadow”. 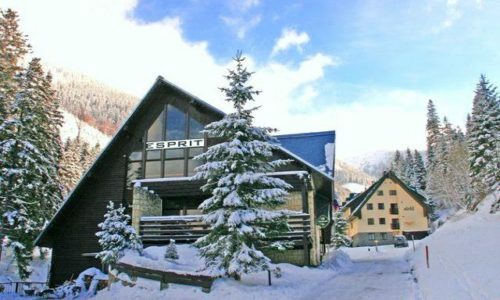 The Esprit Hotel (used to be Pension Stráž) is situated in a romantic and the most beautiful part of Špindlerův Mlýn and belongs to atractive recreation centre in Giant Mountains. 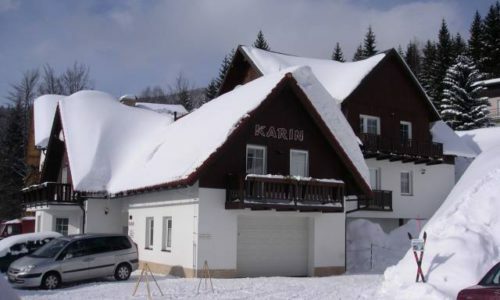 The family pension "Karin" is located in Spindleruv Mlyn, in the peaceful setting of its part called Bedrichov, about 15-minutes walk from the city centre. It has been open since December 2000. 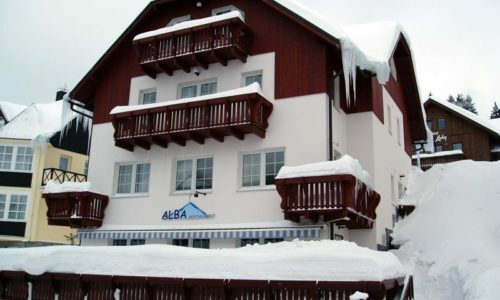 Family pension Alba was built and started to operate in 2001 in the most famous and most attractive resort of the Giant Mountains (Krkonoše), Špindlerův Mlýn. Accommodation is offered in 7 apartments – fourbed room and sixbed room. 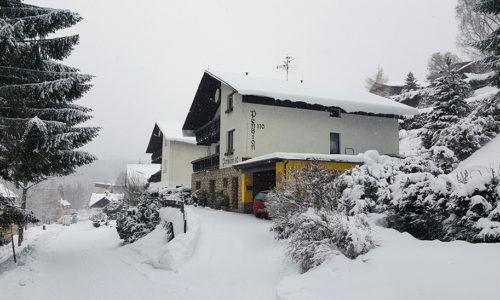 The apartment also has an underground parking lot and a cellar suitable for ski or bicycle storage. It is a great advantage mainly in the winter months. 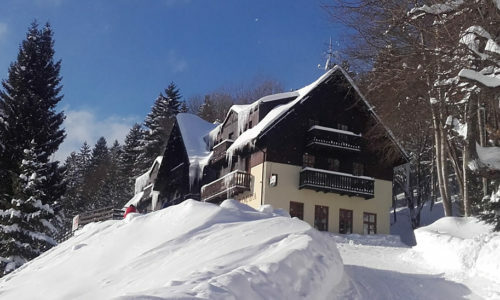 Newly reconstructed Pension Bystřenka enjoys an advantageous central location in the favourite mountain resort Špindlerův Mlýn, and so can easily be reached in any season. 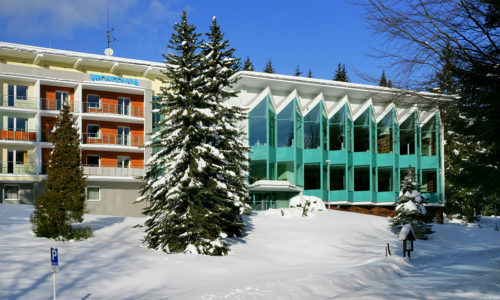 The stylish hotel Diana is situated directly in Špindlerův Mlýn, only 200 meter from skiareal Medvědín. The guest have there the accommodation really directly by lift. 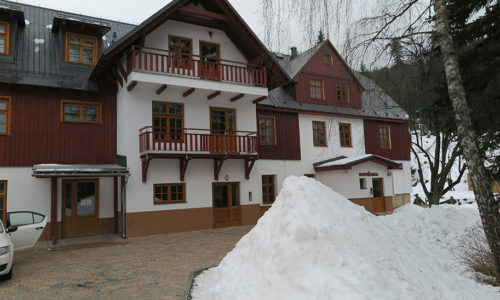 Our pension offers accommodation in Spindleruv Mlyn during the whole year. Singl, double, triple and four-bed rooms are available. Each of the rooms is equipped with its own shower bath, toilet, hairdryer, fridge, television and radio. 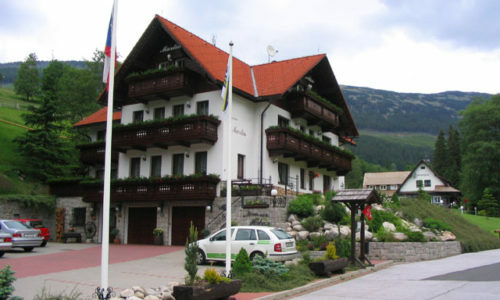 Hotel Windsor occurs in the town centre of Spindleruv Mlyn. It offers a beautiful view on the neighbourhood. The distance of the sportsarea Svaty Petr is cca 8 - 10 min. by walk and of the sportsarea Medvedin cca 15 min. by walk. 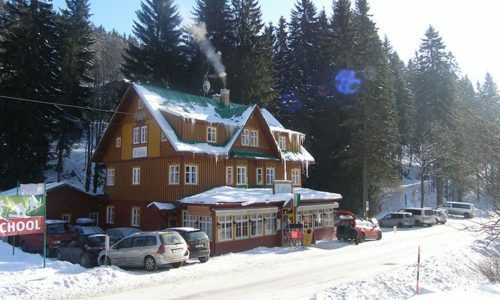 The pension Moravěnka is located in the valley of Sv. Petr in Špindlerův Mlýn. 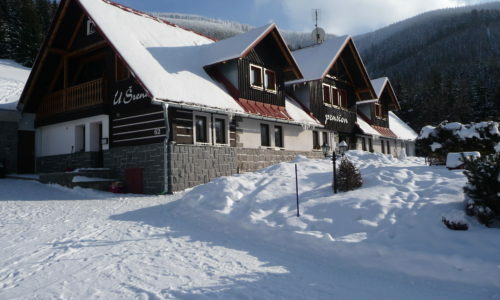 This is a family pension, which offers its guests restful holidays in the mountain. From the city center is the pension located approximately 10 - 15 min. The hotel Kristýna find itself in a calm part of Špindlerův Mlýn - in the valley of Svatý Petr. The way to the center of the town takes you approximately 10 - 15 min. by walk. Near the hotel is situated the biggest sportsarea Svatý Petr (cca 8 min. far by walk). 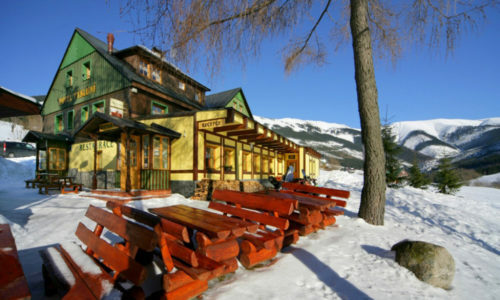 This newly reconstructed hotel in the style of the twenties is situated directly in the center of Spindleruv Mlyn. The distance of the sportsarea Svaty Petr is cca 8 - 10 min. by walk and of the sportsarea Medvedin cca 15 min. by walk. 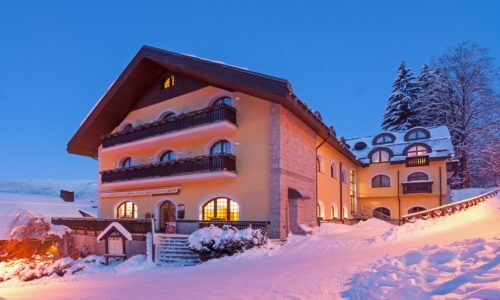 Happy House apartments offer stylish and comfortable accommodation in the Krkonoše Mountains, in a quiet part of Špindlerův Mlýn, not far from the bottom station of the chair lift to Medvědín, with a view of the slopes on Medvědín and Svatý Petr. The pension U Šrenků – pension STOH, Špindlerův Mlýn neighbours with SKI slope STOH and also well-known SKI resort St. Peter (Svatý Petr) and Medvědín is nearby. This modern Sporthotel you will find in Špindlerův Mlýn, in the part of the town called Bedřichov. From the center it is approximately 8 10 far min. by walk. In the Sportsarea Medvědín it takes 10 min. by walk and in the sportsarea Svatý Petr 20 min. The Hotel Montana is located in a peaceful part of Špindlerův Mlýn called Bedřichov. It lies 750 m above sea level and it is a 5-minute walk from the city centre. Montana is known especially for its avant-garde appearance, which is shaped by large atypical windows with a beautiful view of the opposite slopes of the Giant Mountains. In the Svatý Petr, where the hotel located, there is a lot of opportunities to spend your spare time actively. You can try the ride on tricycle, rent a small boat for the cruise on the Elbe dam, use tennis courts, or the new attractive playground for children. 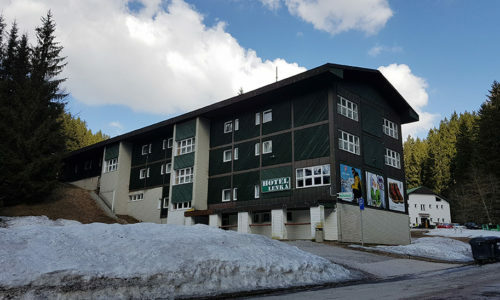 Before pension Martin, now hotel Martin stand in a charming corner of the Giant Mountains in the valley Svatý Petr in Špindlerův Mlýn. This stylish building with a pleasant atmosphere is suitable mainly for a quiet family holiday.